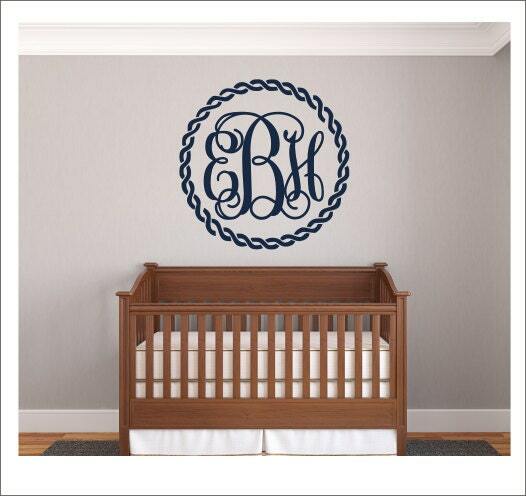 This nautical monogram decal will add instant style to any room of your home! Perfect over cribs and beds, or even use them in dorm rooms-no nail holes or damage left behind upon removal! Decals are cut from the highest quality indoor rated vinyl(Oracal brand) and remove without leaving a sticky residue behind. Please make color and size selections from drop down menus above. *******************PLEASE NOTE**********************Monogram will be cut EXACTLY the way you enter it in the notes box at checkout! If you type "ABC", then it will read "ABC." Please be clear about monogram and order. Not doing so will delay production/shipment of your order. 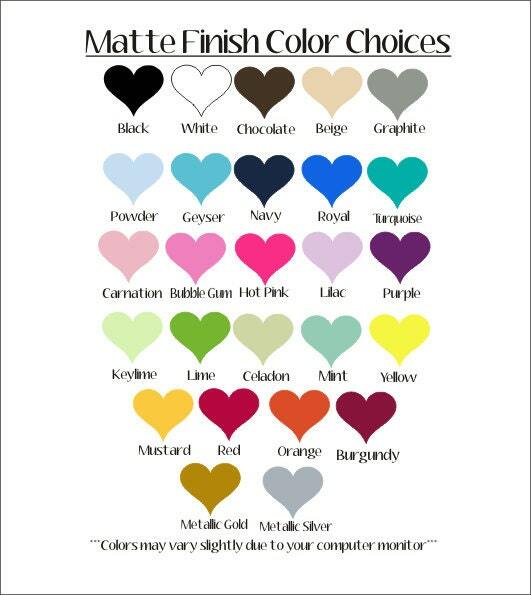 If you need help with your monogram, convo me prior to purchase and I will be glad to help you. Please Note-Decal may not be scale to size in example pic. Please see above for size options. Please see shop policies before ordering. Vinyl is NOT suitable for all wall/paint types. LOVE this monogram! Exactly like the picture and very quick shipping.